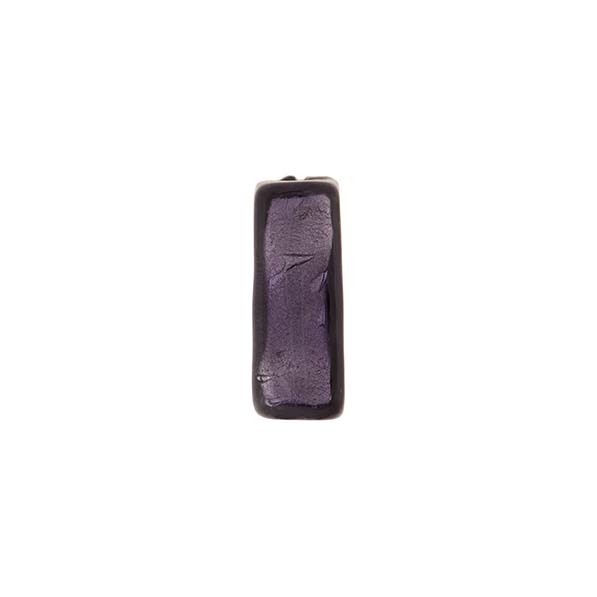 This square Murano glass bead of transparent blu inchiostro(purple) encases White Gold foil. 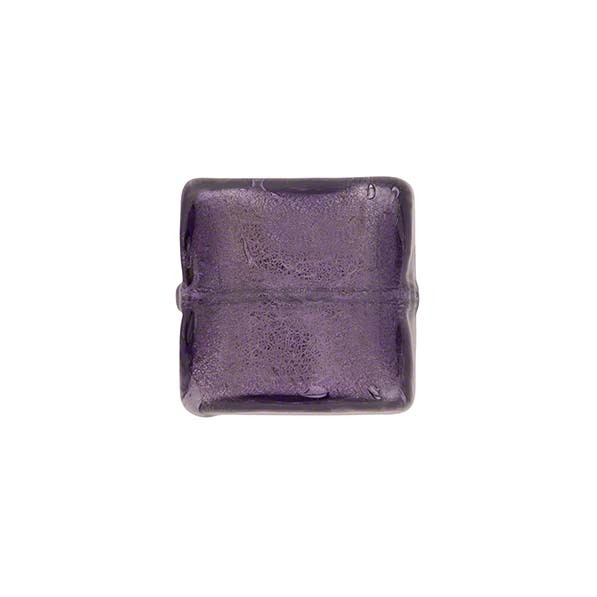 The size is approximately 14mm by 14mm, they are thin about 5-7mm thick with a 1mm hole. They are light, good for earrings and bracelets! Add some rich color to your Venetian Jewelry with these.